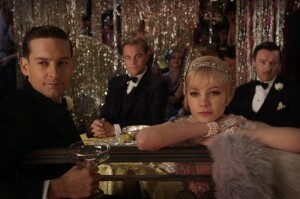 The recent Gatsby fever ignited by Baz Luhrmann’s new screen adaptation of the beloved F. Scott Fitzgerald novel has had an unexpected effect on the reference world—in particular on James L.W. West III, the editor of The Cambridge Edition of the Works of F. Scott Fitzgerald. West described his experiences consulting on the film in a Huffington Post article, and in this week’s Q&A at the Cambridge Book Club, he discusses how reference titles contribute to our popular culture in addition to our academic pursuits. Tell us a bit about consulting on Baz Luhrmann’s film—how did your rigorous scholarly approach and detailed research in the Cambridge editions of Trimalchio and The Great Gatsby impact the film? Baz and Leo DiCaprio both became curious about Trimalchio—about its characters in particular. Jimmy Gatz in Trimalchio is a different character from Jay Gatsby in the published novel. DiCaprio borrowed a good deal of Jimmy Gatz for his portrayal, and even took some lines from Trimalchio that didn’t appear in The Great Gatsby. 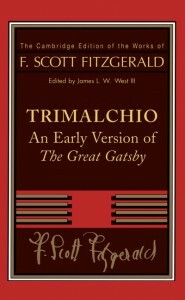 The Cambridge Edition of the Works of F. Scott Fitzgerald had a very unique opportunity to affect popular culture outside of academia. 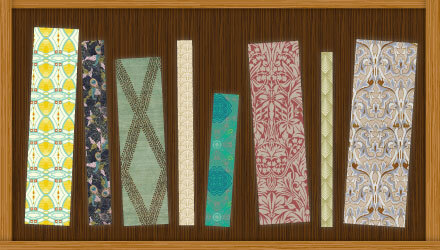 Do you see similar opportunities for reference titles in the future? Most certainly. As the great fiction and poetry of the twentieth century comes into the public domain, readers will become ever more curious about how those works were written. And I mean lay readers, not just academics. What is the value of reference works for general readers (even if they don’t realize they’re benefitting)? These readers come to understand that great works of literature don’t spring fully formed from the brows of their creators—and certainly not in the first draft. It’s always fascinating to follow the growth of a poem or novel in an organic way. It increases one’s understanding of the work, and helps one to understand that serious literary labor is not an exercise in improvisation.